Shane Ward's sculptural practice has been dedicated to themes of war and romance, capital and masculinity, violence and depth, surface luster and value. 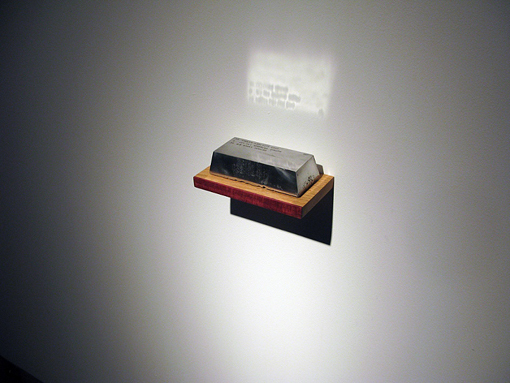 His work pursues the relationship between the grave and the monument, the mine and jewelry box, the wound and the mend. His most recent work is a sustained inquiry into the nature of victory, its relationship to liberty and its ultimate fragility. He has an MFA from the University of Chicago. The artist lives and works in Chicago, IL.